The university is one of only 125 colleges in the Western region to be recognized. Texas Tech University was chosen as one of the best colleges in the west, according to the “2016 Best Colleges: Region by Region” feature compiled by The Princeton Review. 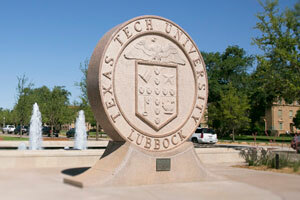 Texas Tech was one of 649 colleges to receive the honor and was part of the 125 colleges recognized in the Western region. The school was evaluated on its academics, admissions selectivity, financial aid, fire safety, quality of life, how green the university is and how interesting and accessible professors are using a scale of 60 to 99 based on institutional data, according to the ratings criteria. Only schools that permitted The Princeton Review to independently survey students qualified for the rating, according to the rankings. Data from a survey of administrators, staff and college counselors and advisers also was taken into consideration. The ratings list comprises approximately 25 percent of the United States' four-year institutions. The western region includes universities located in Alaska, Arizona, California, Colorado, Hawaii, Idaho, Montana, Nevada, New Mexico, Oklahoma, Oregon, Texas, Utah, Washington and Wyoming. The ratings also included schools in the Northeast, Southeast and Midwest.